Using CSV/TSV content and save it to a file with a .xls extension. If you don’t need control over formatting, styles, or workbook structure, only need data in excel, this approach is good for you. For simplicity, I am using hard-coded sample data. Generating HTML content and save it to a file with a .xls extension. //Writes markup characters and text to an ASP.NET server control output stream. This class provides formatting capabilities that ASP.NET server controls use when rendering markup to clients. You can use ASP.NET GridView directly(instead of table). In this approach, the logic is same to generate HTML, but the ways are different. When you open .xls file generated with Approach 2 & 3, you will get warning because of format difference. It is a bit annoyance. In this Approach, we will use free open source library EPPlus to export the content. 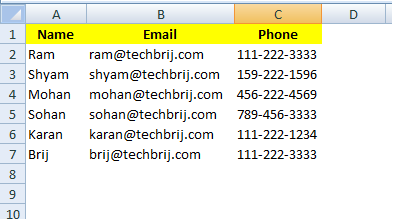 It writes Excel 2007/2010 files using the Open Office Xml format (xlsx) only. You can see how easy it is in .xlsx format. 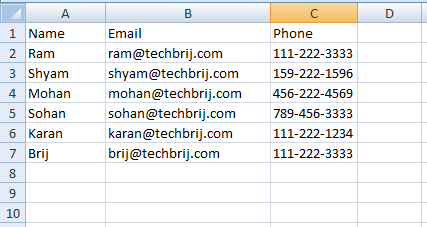 This library allows you to set worksheet properties, custom and conditional formatting, Cell Ranges and Cell styling (Border, Color, Fill, Font, Number, Alignments),Formula calculation ..etc. Note: In above method, It is clearly visible response syntax differences (ContentType, Header and Write) between xls and xlsx. This post explains the different ways to export data in excel (.xls and .xlsx) format and their pros and cons. If you want your plain data in spreadsheet then approach 2 is good. If you are exporting data from any HTML element or you need some data formatting then approach 3 is good. If you need xlsx format then I recommend EPPlus. If you have to do a lot of operations on Excel and need support of both formats then NPOI is the best option for you, but it is very heavy. Hope, It helps. Feel free to share your opinion in comment box. I have requirement edit existing SampleExcelTemplate and then download updated excel. can do it using EpPlus? If yes, How. or, Is there any method avalilble to copy worksheet data to new object of WorkSheet? 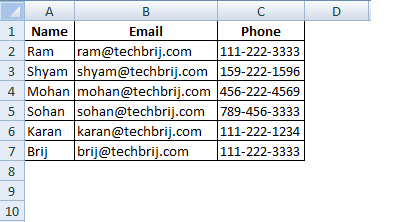 Can anyone tell me how to insert picture in a cell with above code. Hi, thank you for great blog. Have a look at this library. I think it is quite useful for exporting data.